We are delighted to announce that we have been awarded a Silver Award in the Taste Cheshire Food and Drink Competition 2016. The Farm Shop received this honour after getting through to a short list of four following customer voting. 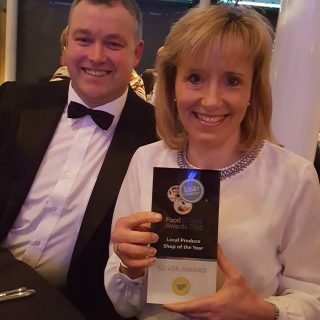 We were then ‘mystery shopped’ by a team of Industry Experts and the final award was presented at a Gala dinner held at Chester Race Course. We were really pleased to receive this recognition in what has been dubbed the County’s ‘most hotly contested hospitality awards’.